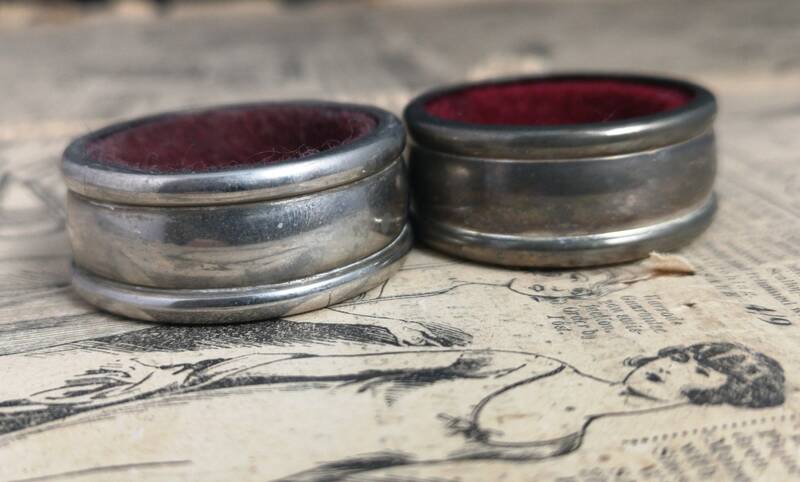 A pair of worn and distressed old napkin rings with silver plated outer rims and red velour inners. Very worn and distressed, the plating is worn and grey and the velour has seen better days. Approx 0.5" height and 1.5" diameter.